Jeans might be classic enough that you can buy and wear a pair for years on end, but they also reflect the times. 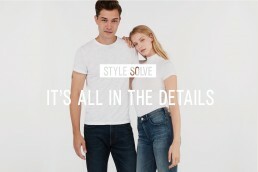 From pocket placement to distressing choices, the smallest details can place a pair of jeans in a particular season or year. Which is why—while we’re all for having “oldie but goodie” pairs in your rotation—editing and adding to your stack every once in a while makes sense, too. If you’re due for a denim upgrade this season, here are the details you should look out for. Spoiler alert: You’ll confuse exactly none of these with your favorite slim-cut dark-wash jeans. 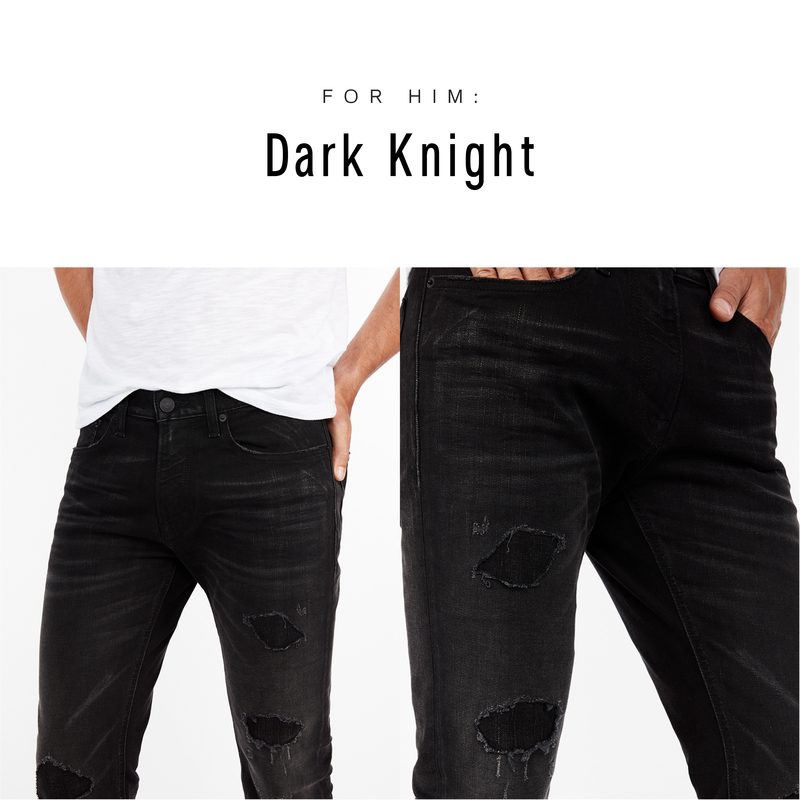 Guy or girl, day or night, slim-cut or baggy, the most important detail on any pair of jeans is the wash. 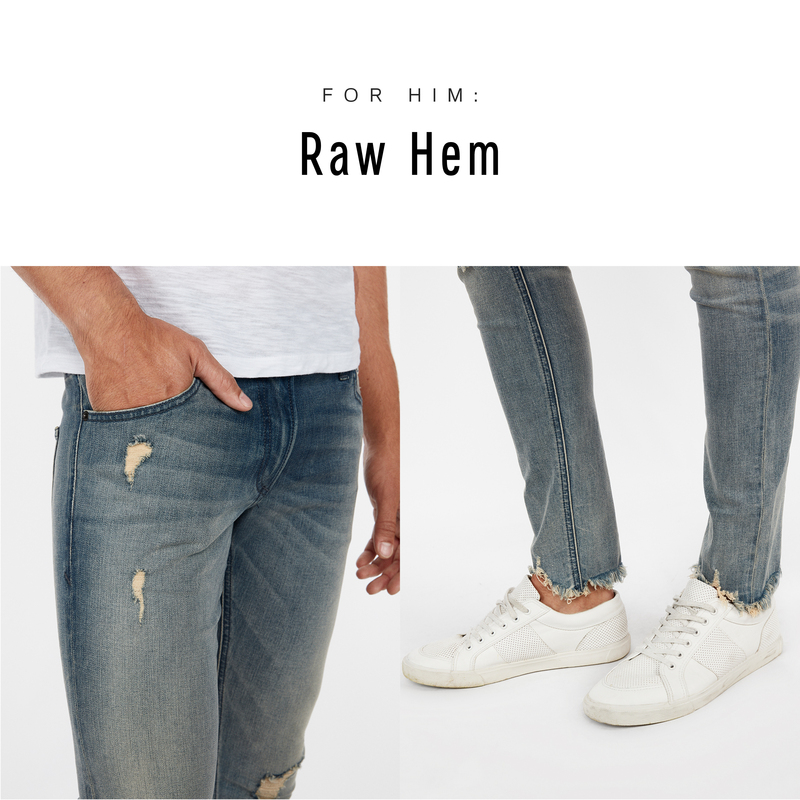 Unless you’re going for a “raw” look, seek out denim with natural fading that doesn’t come on too strong. Whiskering around the hips and light distressing at the knees also lends a timeworn vibe. Less is more here, except if it’s a novelty pair (think: bleached and shredded). SHOP: Slim Dark Wash Tough Stretch+ Jeans, Eco-Friendly Mid Rise Stretch Jean Leggings From rock gods on stage to cowboys on horseback, rebels never part with their trusty jeans. Lean into the icon’s nonconformist vibe with a pair that shows your own tough side. Slim-cut jeans make you look like a respectable young man. Slim-cut jeans with big holes in the knees will make you look like you just might be the leader of a punk band. So . . . which will it be? If you want to turn the volume up on a pair of ordinary jeans, pay attention to the bookends, a.k.a. the waist and hem. A subtle tweak can really kick things up a notch. 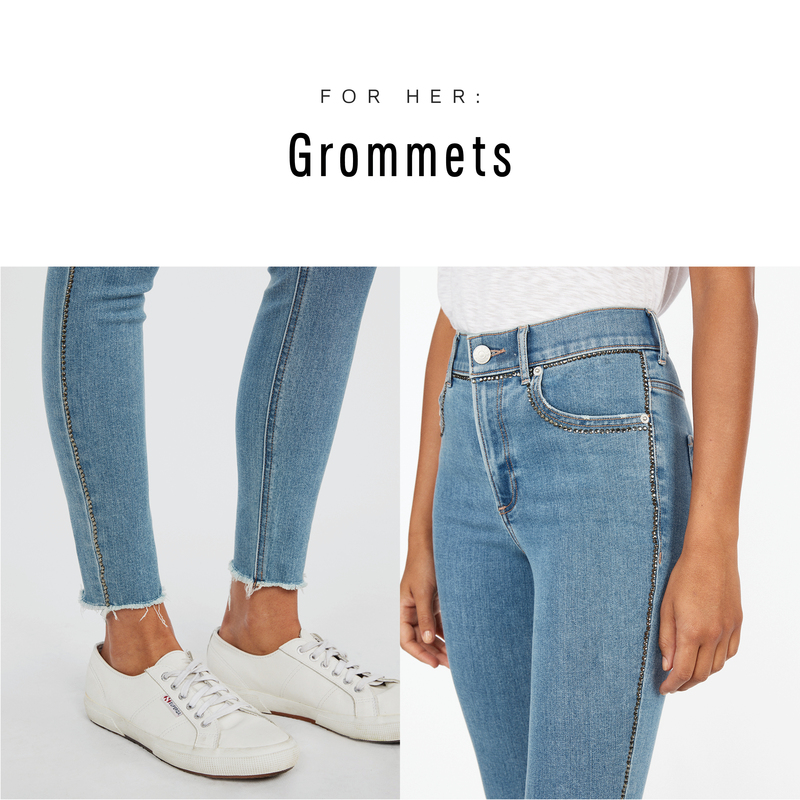 Highlight your curves and turn denim into an “outfit” with a pair of jeans that hit you at your natural waste. We especially love paneled waistlines and buttoned flies this season, which nod to—you guessed it—the ‘80s. 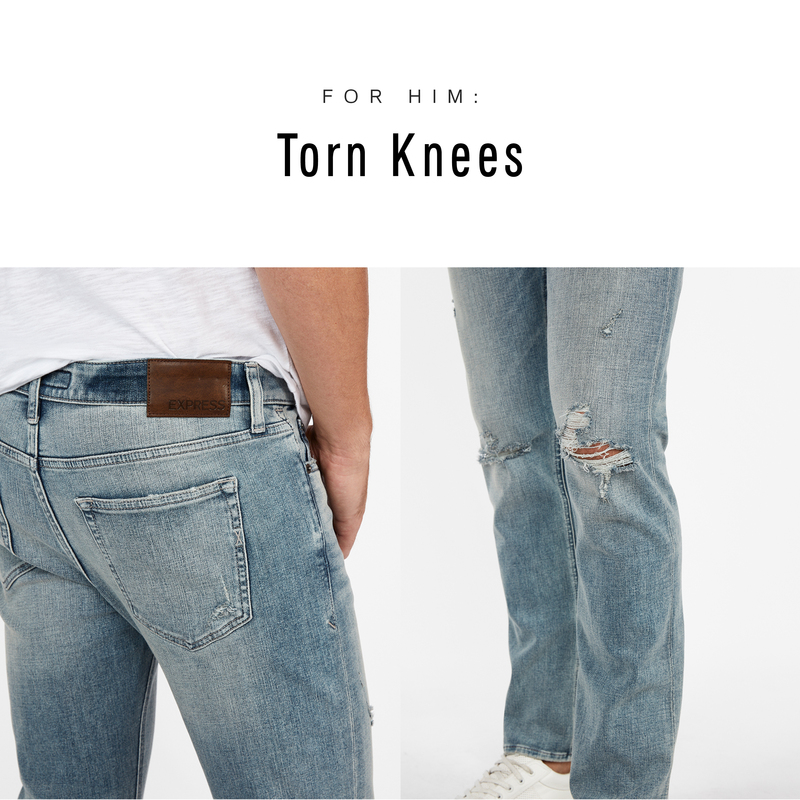 While rips and tears lend denim an edgy, rock ‘n’ roll vibe, a raw frayed hem feels nonconformist in the SoCal surfer kind of way. Bonus points if you show off your bare ankles by wearing no-show socks. Just because you wear denim every day doesn’t mean it can’t snap you out of your everyday routines. Switch things up with a pair of jeans so bold, it completely changes your look—and attitude. 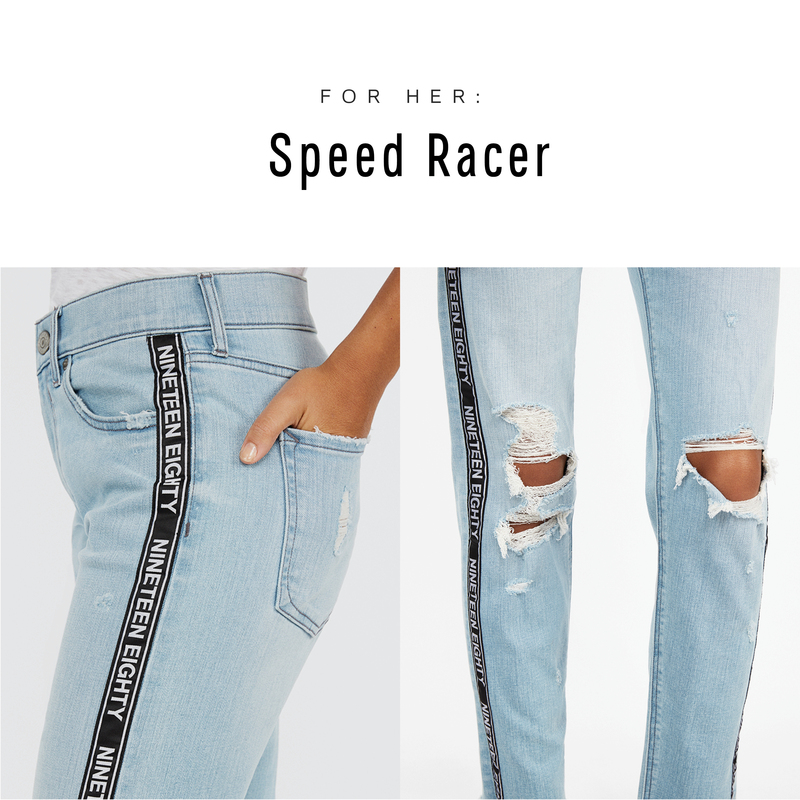 We’re loving denim with taping down the sides for a look that’s a little bit ‘90s streetwear, a little bit racetrack-ready. Wear them with a simple tee and sneakers or dress them up with a black bodysuit and heeled sandals for a night out. What happens when you bring together black denim and up-and-down distressing? 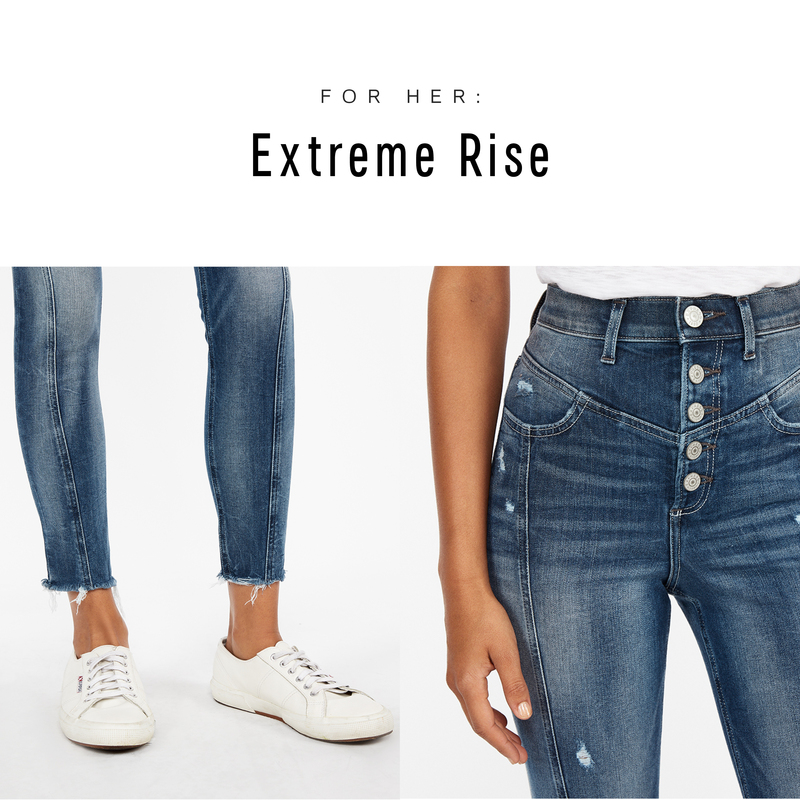 A pair of jeans so edgy, you won’t even need your motorcycle jacket for support. Whether you’re party-hopping or just indulging your biker side, these belong in your rotation.